In July 2015 the aerospace giant Boeing predicted that the world would need 558,000 new pilots during the next twenty years. If this forecast for half a million pilots jobs is correct (and they should know, being Boeing) then there has never been a better time to [easyazon_link identifier=”B008J6GYF2″ locale=”UK” tag=”bensblog888-21″]learn to fly[/easyazon_link]. 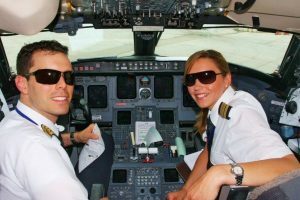 If you start soon and work your way along the path to a career in the airlines then you should be ready to catch this wave of opportunity as it gathers momentum over the next few years. If you have no flying experience at all then the idea of one day being the pilot of an airliner and responsible for the safe take-off, flight, and landing of a multi million pound aircraft, along with its passengers, crew, or cargo, may see nothing but a dream, but like all such ambitions they can be realised with the right amount of concentration, perseverance, money, and sacrifice. [easyazon_image align=”left” height=”500″ identifier=”187478308X” locale=”UK” src=”/wp-content/uploads/2015/08/412B8PN0CVL.jpg” tag=”bensblog888-21″ width=”388″]At the very start of your journey into aviation you’re going to have a lot of fun and excitement as you learn to fly. The milestones are many and come in quick succession; first solo, first solo navigation, first land away etc and within a few months you will become one of the privileged holders of a Private Pilots Licence. This licence will entitle you to fly specific aircraft within the limits of the type of licence you have elected to obtain. At this point the path for some pilots diverts into recreational flying and that journey can last for years. For the lucky few it can last a lifetime and some pilots continue to fly into their eighth and even their ninth decades, but for those whose aspirations are firmly fixed within the world of civil aviation then the achievement of the PPL marks only the end of first stage of training. From there they must move quickly on to twin engine ratings, a Commercial Pilots Licence, and Instrument Rating, and onward towards an ATPL (Air Transport Pilots Licence). As you can imagine, all this training takes a lot of concentration and application. It also demands a lot of sacrifice. If you take this path you will probably drastically reduce (and perhaps cut out altogether) nights out, holidays, nice cars, new clothes, and all the other things that working people spend their money on. Obviously, if money is not a problem for you then this won’t be the case, but for most student pilots it is not uncommon for them to reach the end of their training in debt to the tune of tens of thousands of pounds and it is only the promise of a long career in the airlines, with increments of salary as they gain experience and seniority, and ending with a good pension, that gives them the confidence to continue with their goals. Learning to fly isn’t cheap. 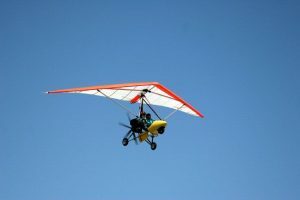 Yes, it can be done on a budget but since this post is about the airline career path it would probably be a false economy to [easyazon_link identifier=”B00C0K6OBM” locale=”UK” tag=”bensblog888-21″]learn to fly microlights[/easyazon_link] or some of the other smaller, lighter aircraft. The number of flying schools offering flight training varies from place to place and in quality. You should try a few of those closest to you before committing to spending all your money in one place, and even if you find what seems to be the rights flying school don’t feel you have to stick to the same instructor. It’s vitally important that you get the best flight training from the outset and that you have a comfortable and enjoyable relationship with your Flying Instructor. If you’re in your teens or twenties with a mature and focused attitude to study and training, if you’re the sort of person who looks skywards whenever you hear the sound of an aero engine, if you dream of flying and seeing the world above the clouds then perhaps you should delay no longer and start planning your career in the airlines over the coming decades.